It will leave your dog entirely free of outlying bloodsucking parasites. It can even work as a flea and tick treatment on puppies, provided they are at least 7 weeks of age. Advantix is also completely waterproof, which only adds to its reputation as one of the most efficient and flexible pet treatments available in today’s marketplace. Multiple pet owners should use caution though, as either internal or external exposure to a cat is likely to cause potentially dangerous effects. As I understand this product can be give in combinaison with Revolution? Yes, these products have different ingredients, they can be used together safely. Yes, it will get rid of ticks. If you want to use something different you can try Nexgard. 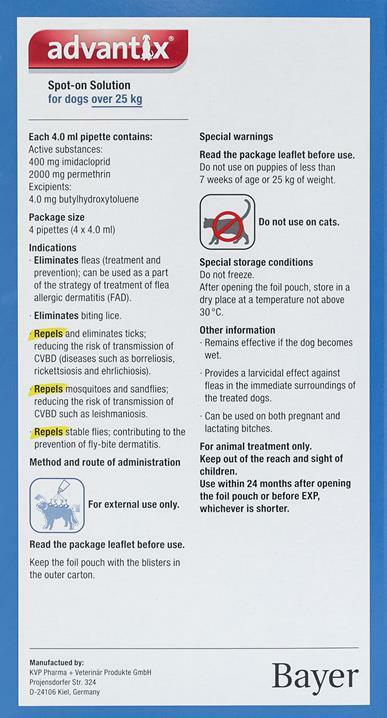 im currently using revolution on my black lab (100lbs) which helps heartworm ticks fleas etc. but only is good for dog ticks. can i use advantix and revolution together? It is always best to consult a veterinarian concerning drug interaction. We look forward to hearing from you when you have made your choice and thank you for the inquiry. Can I use this safely to my 11 year old lab to control ticks? Yes, definitely. Advantix has produced by Bayer. It is very effective and very popular among dog owners. What are the differences between K9 Advantix & K9 Advantix II? 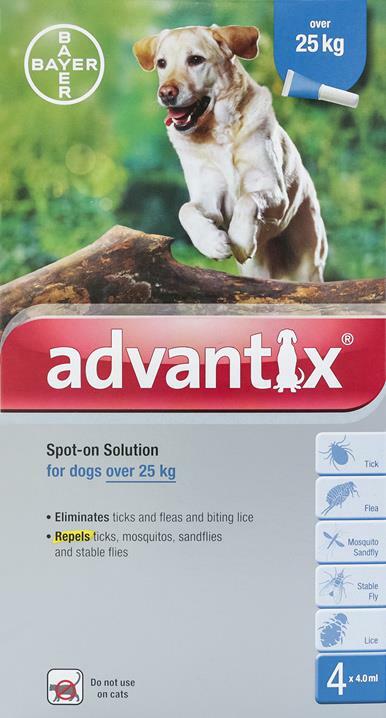 Advantage 11 is for killing the whole lifecycle of fleas and lice, whereas Advantix will also kill ticks as well as fleas. Order was received in a timely fashion and am satisfied with product. Will use again.